Hyatt Place Johns Creek is located 7 miles from Interstate 85. Hyatt Place Johns Creek is located on Medlock Bridge Road, near the intersection of MCGinnis Ferry Road, in the Johns Creek Technology Park. Hyatt Place Atlanta/Duluth/Johns Creek is in the Northeastern suburbs of Atlanta, Georgia in the heart of Johns Creek. We are only 30 minutes from Atlanta and less than 40 miles from Hartsfield-Jackson International Airport. Hyatt Place Atlanta/Duluth/Johns Creek is near corporate offices including Alcon, State Farm, Arris, Macy's, SAIA, GE, and World Financial. All of Georgia attractions are conveniently accessible via Georgia I-85 and I-285. The area offers a number of golf and country clubs including The Country Club of the South and Atlanta Athletic Club! 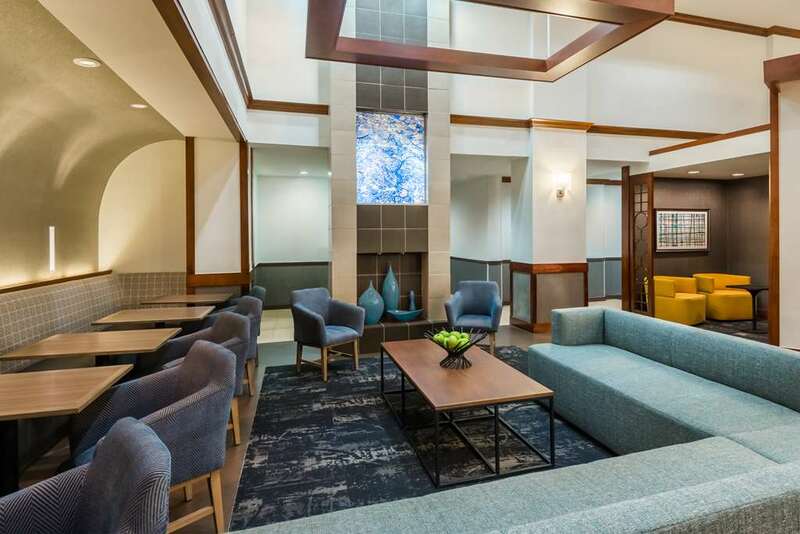 Hyatt Place is a new kind of hotel that puts style, innovation and The Hyatt Touch within everyone's reach. Our guests will enjoy a spacious guestroom with a 42in flat panel high-definition television, our signature Hyatt Grand Bed, a plush Cozy Corner oversized sofa sleeper that is separated from the sleeping area, and complimentary high-speed Wi-Fi Internet access throughout the hotel. PET POLICY: 1-6 NIGHTS A 75 NON-REFUNDABLE FEE. 7-30 NIGHTS A 75 NON-REFUNDABLE FEE PLUS AN ADDITIONAL 100 CLEANING FEE. MAXIMUM OF 2 DOGS PER ROOM ARE PERMITTED. WEIGHT MUST BE 50 LBS OR LESS MAX OF 75LBS PER RM. FEES ARE IN USD. Hyatt Place Johns Creek is located 7 miles from Interstate 85 and is on Medlock Bridge Road, near the intersection of MCGinnis Ferry Road. We are located in the Johns Creek Technology Park.